Designed to help Nexion Travel Group members achieve their goals, CoNexion taps into one of the most valuable learning resource – peer-to-peer interactions and connections with your fellow travel professionals. *Please note that this event is sold out and on a wait list. There is no fee to be on the CoNexion wait list. Payment is only required if/when a spot opens. You will pay the conference registration rate at the time you went on the wait list. If you cancel on or before June 30, 2019, you will be refunded 100% of the amount that you paid. If you cancel between July 1, 2019 and August 14, 2019, you will receive a refund, minus a $50.00 cancellation fee. If you cancel after August 14, 2019, there will be no refund. Only one guest per member will be permitted. Guests must be 18 years of age or older. For travel purposes*, please plan to arrive by the evening of September 11 and depart in the early morning of September 15. *See agenda and discounts for pre/post CoNexion opportunities. 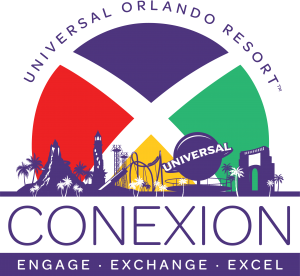 By registering for CoNexion 2019, you agree to be photographed or audio/video recorded for marketing purposes.